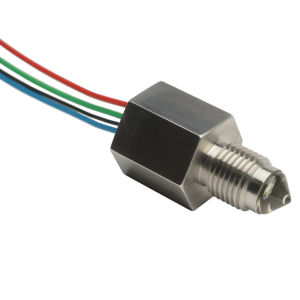 The POS Glass Tip range of liquid level switches are robust and rugged, ideal for operation in harsh industrial environments, aggressive chemicals and extreme temperatures up to 140°C. 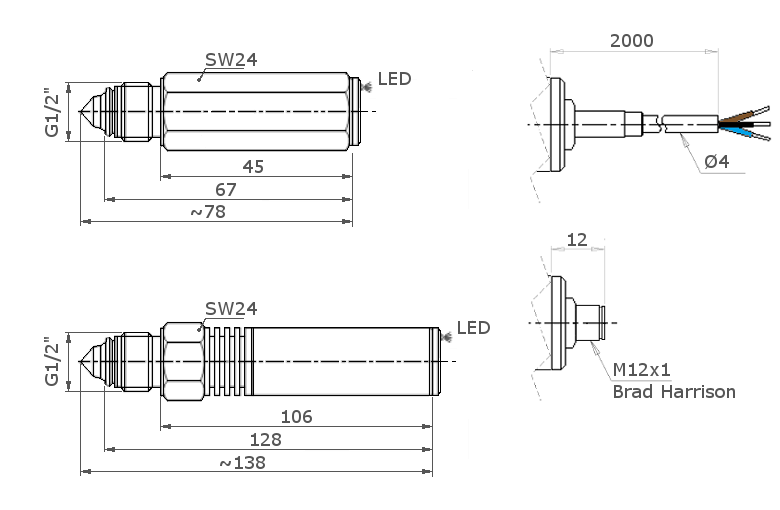 The POS Glass Tip sensor is solid state, combining an infra-red LED and phototransistor which are optically coupled by the tip when the sensor is in air. 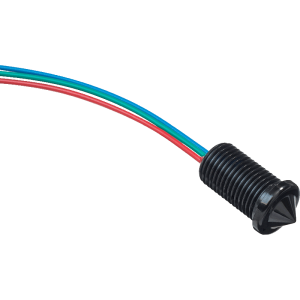 When the sensing tip is immersed in liquid, the infra-red light escapes making the output change state. 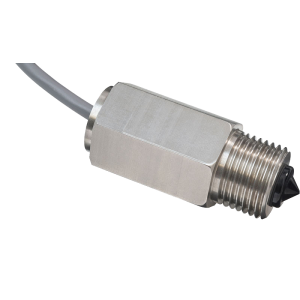 The sensor can detect the presence or absence of almost any liquid type, oil or water based. 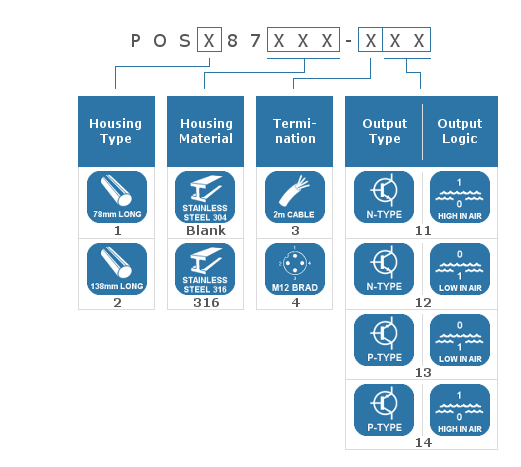 Options of N and P type outputs can sink or source up to 200mA at a supply voltage range from 12 to 28Vdc and can be configured to be a high or low signal in either a wet or dry state. 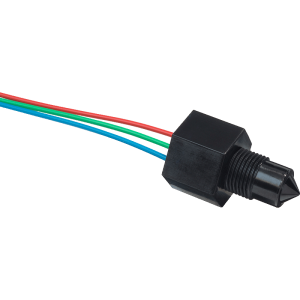 The sensor is available with a M12 connector or 3 core cable and also has LED output indication. 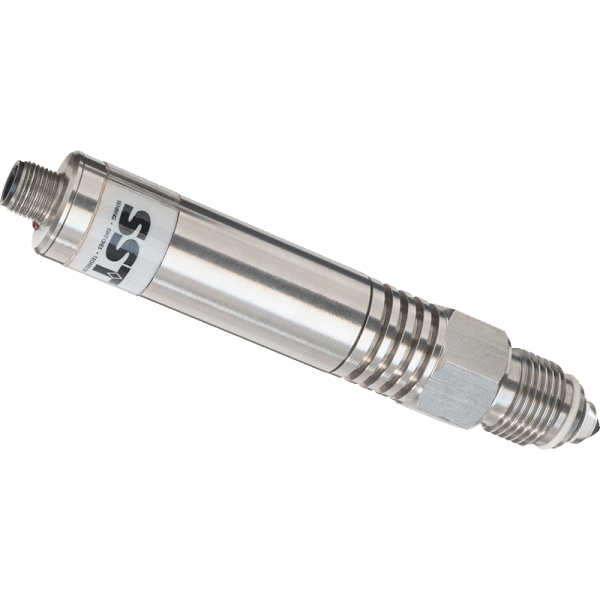 The stainless steel body combined with a crystal glass sensing tip allows the POS Glass Tip range of liquid level switches to operate under high pressure conditions up to 80 bar and across two temperature ranges; Standard (-40 to 100°C) or Extended (-40 to 140ºC). Supply Current (ls) 25mA max. Output Sink and Source Current (lout) 200mA max.